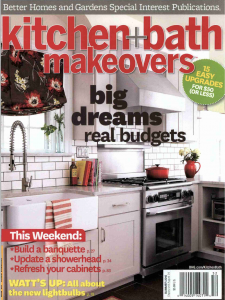 Top Knobs took over the project scene in the Summer 2015 edition of Better Homes & Gardens: Kitchen & Bath Makeovers. Top Knobs products were featured in three different projects, all designed with their own unique twist! 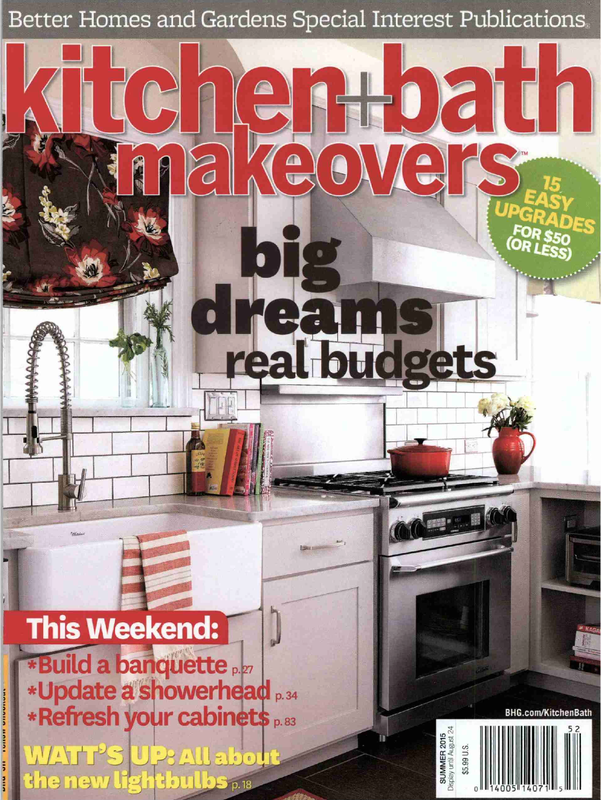 These kitchen and bath makeovers took place in homes all around the United States. Each project had a different budget ranging from small to large, proving that Top Knobs products can accommodate any sized project. Growing Pains: Homeowners Molly and Andy Beals remodeled their master bathroom with a budget of only $710. They took their previously dark and busy chevron patterned bathroom, and turned it into a tranquil space using hues of cool neutral colors. 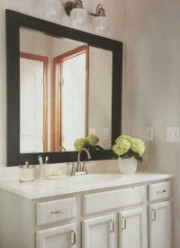 To compliment the new light and earthy colors, the Beals replaced their old vanity countertop with a lighter colored one. Top Knobs Charlotte 3” pulls were used to complete the look and give the vanity even more of a fresh feel. Fresh Era: Over in San Diego, Joanne O’Dea and John Rudderham agreed to remodel their 13-year-old kitchen after 18 long months of planning. Living in a bungalow with a small sized kitchen, Joanne and John’s main remodeling goals were to give the kitchen a fresh new feel, while simultaneously increasing storage space. 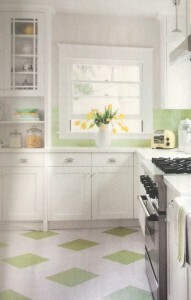 The homeowners chose shades of light green to give the kitchen a cheerful vibe and installed new cabinets all around the kitchen to give them more storage space. To finish off their new space, Joanne and John used Top Knobs Cabinet Cup Pulls on the drawers that lined their kitchen. Over The Moon: Last, Atlanta designer Kelly Kole redesigned her bathroom after falling in love with a blue and white floral wallpaper. After deciding upon the wallpaper as the high-point of the room, she then used creamy-white paint colors and bath accessories to bring the rest of the room together. 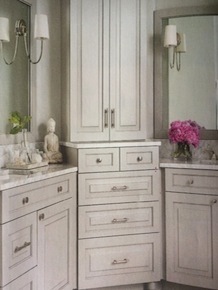 The bathroom also features duel vanities and custom cabinetry to match the color scheme of the room. Once installed, the vanity was completed by adding cabinet hardware from the Top Knobs Asbury Collection in a polished nickel finish. 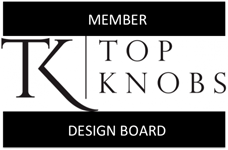 For more Top Knobs updates, follow us on Twitter, Facebook, Pinterest and Google Plus.